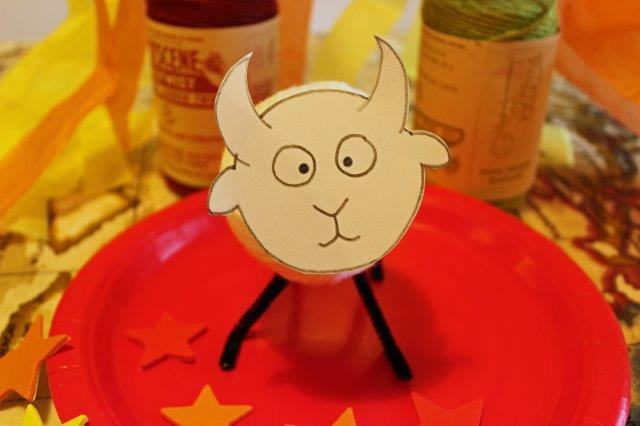 How to make a Dragon puppet and Goat for Chinese New Year with Bostik! 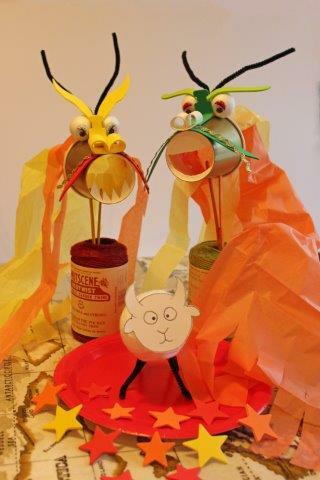 My kids and I have been having so much fun this week making dragons and goats for Chinese New Year (2015 is the year of the Goat). Every month we’re sent a box of random materials as part of the Bostik Craft Bloggers Club with Tots100. 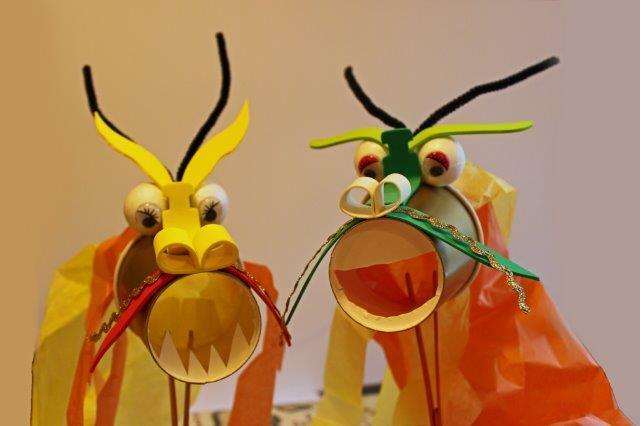 As it’s half term next week I bet you guys are looking for activities to keep the little peeps happy, so here’s how to make a Dragon puppet (or windsock) and Goat for Chinese New Year! These guys have brilliant tails which billow and twirl whether they’ve been propped up to make a windsock or used as a hand-held puppet. They’re also very adaptable which means you can use the same basic design and customise the face etc. Photos are great when it comes to craft tutorials but I thought it would be easier for this one if I also provided you with a video showing exactly how it’s made. There are also text instructions and a couple of pics below. Step 1 – Start by drawing and cutting out a mouth from the flat end of the paper cup. Step 2 – Using your Bostik Glu Dots stick two polystyrene balls to the back of the cup to make eyes. Stick googly eyes on top to finish. Step 3 – Grab some foam (I used foam wristbands) and draw out two eyebrow shapes. Stick these onto the top of the eyes using more Glu Dots. Step 4 – Pick up the pipe cleaner and fold in half to make the Dragon’s horns. Stick between the eyes using Glu Dots. Step 5 – Take a short length of foam and fold the ends into the centre to make nostrils. Secure using Glu Dots. Step 6 – Cut half a moustache out from foam, repeat to make a second half. 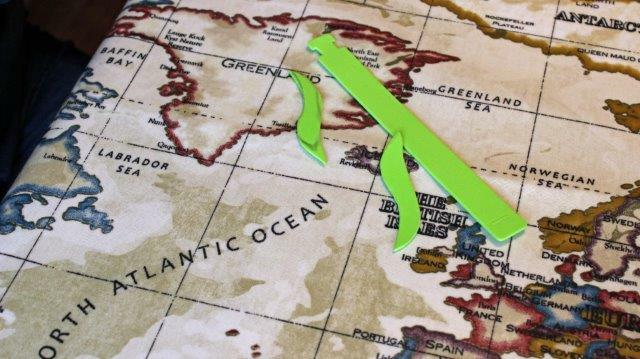 Cut ric rac or ribbon to the same length or a little longer and use a Glu Dot to stick on top of the moustache. Step 7 – Stick the nostils onto the thinner end of the paper cup using a Glu Dot. Then stick the moustache into place just under the edges of the nostrils. Step 8 – Next cut a length of foam (or half a wristband) and stick to the paper cup behind the nostrils to make the bridge of the Dragon’s nose. 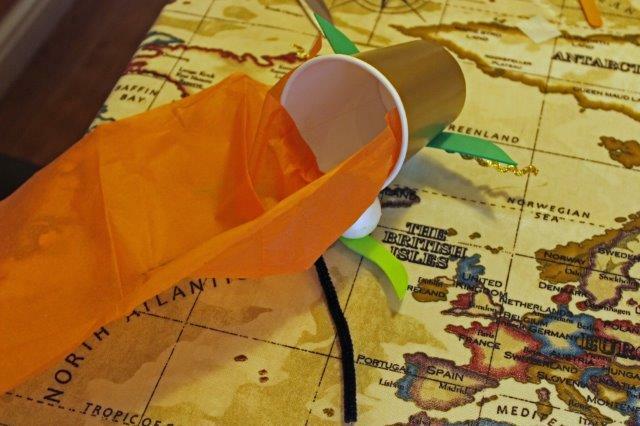 Step 9 – Take some tissue paper and stick to the inside of the paper cup using sticky tape. We also cut out thinner lengths of tissue paper from a contrasting colour to make streamers, stick to the cup. Step 10 – This next bit is for the adults!! Cut two small holes in the bottom of the Dragon’s face and insert two lolly sticks. Add a third which is placed between the first two and bind together using sticky tape. This little guy is really cute and very quick to make! 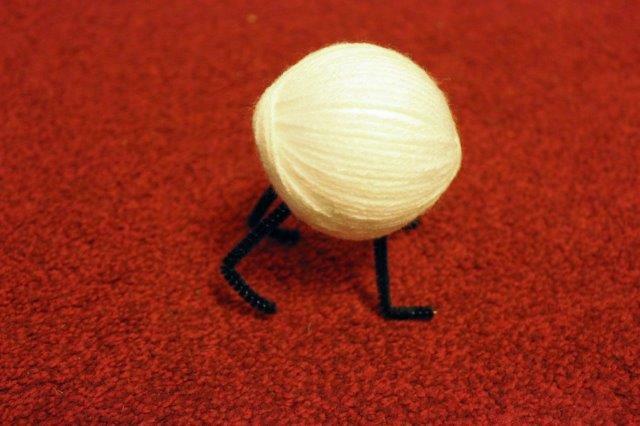 Step 1 – Pick up your polystyrene ball and attach the end of a ball of wool using a Bostik Foam Pad. 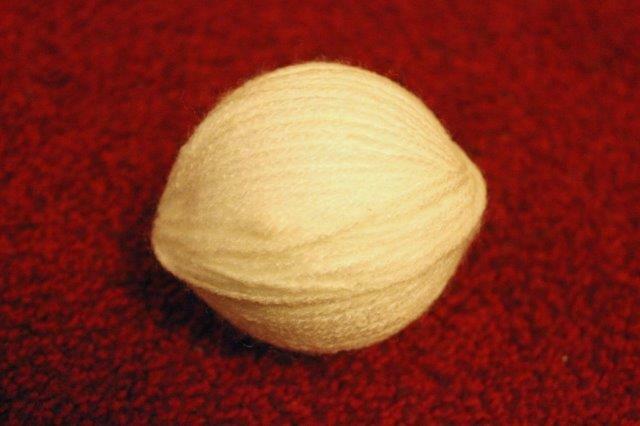 Step 2 – Wind the wool round and round until the ball is completely covered. Secure the end by tucking under the wound wool. You can use another Foam Pad or a Glu Dot if needed. Step 3 – Cut a pipe cleaner into four pieces and bend one end of each piece to make feet. Push these into the ball. 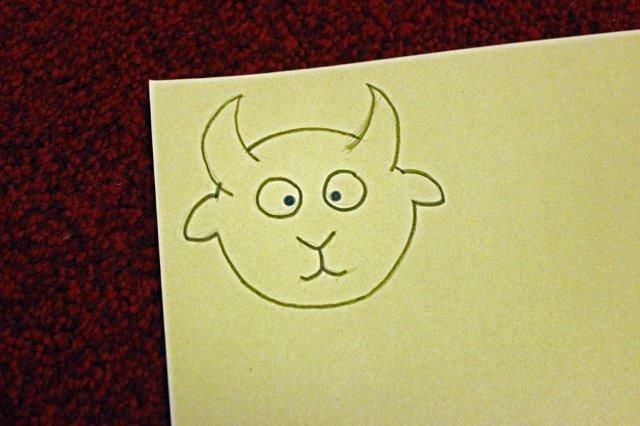 Step 4 – Draw a face for your Goat onto cardboard. Cut out. 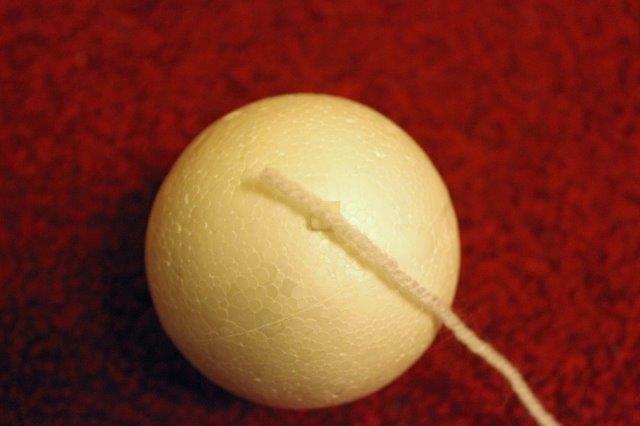 Step 5 – Stick onto the front of your ball using Foam Pads and ta-da you have your Goat! 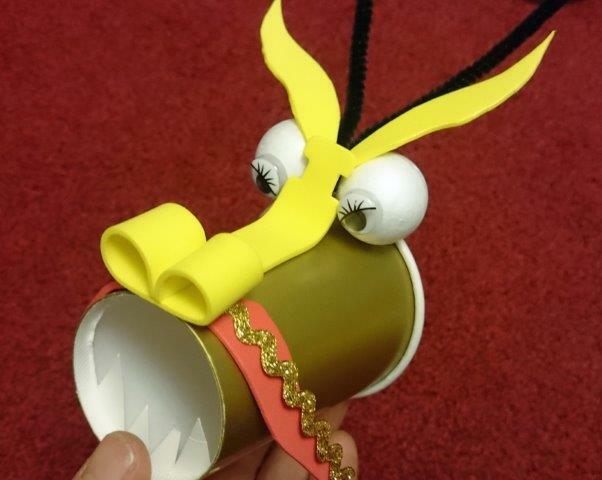 This entry was posted in Tutorials and tagged bostik, children, chinese, chinese new year, craft, dragon, dragon puppet, goat, kids, puppet, tutorial, windsock. Bookmark the permalink.